Investing in commercial real estate provides a stable cash flow, especially when prime property is rented out. Commercial real estate investments also offer financial benefits when the property’s value appreciates over time. The two critical factors in successful commercial real estate investment, leasing out a property and the real estate’s gradual appreciation, make investing in commercial real estate a profitable venture. Make sure to follow these tips to profit from your commercial property investment. Opportune examples of real estate into which an investor can generate a profit include industrial buildings, hotels, farmland, retail buildings, office spaces, malls, apartment units, and warehouses. While apartment buildings generally offer leases for up to one year, industrial and office spaces typically offer leases of five years or more. Making the right investment decisions is extremely rewarding monetarily. On the same token, making a poor investment choice will deflate you financially and burden you with an undesirable building. 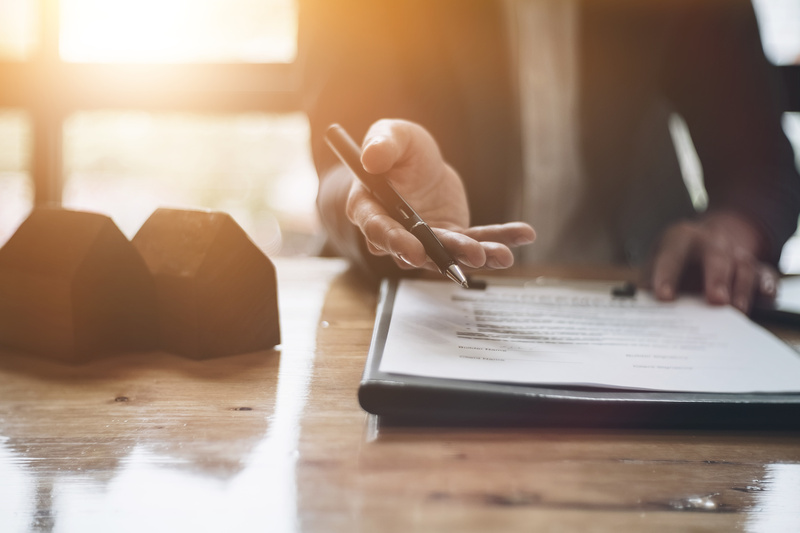 But in any situation, you’ll want to have an experienced real estate attorney attend the closing and carefully review the documents before you sign anything. Commercial real estate investing, just like residential real estate investing, considers location. You want to invest in a property that is situated in a prime commercial area. Look for the worst property in the best area. A dilapidated property can be fixed up and sold for a profit, a much more sizable profit if it is located in a prime spot. Your credit report is what banks will look at when you need to borrow money to finance the purchase of a commercial property. A gleaming credit report will ensure you have the adequate funding to make your commercial real estate investment dreams a reality. Keep in mind that lenders prefer 30 percent down, as a minimum. If you have the opportunity to purchase a ten- or fifty-unit apartment building, move forward with the larger purchase. Savvy real estate investors, like the famous Dave Lindahl, say it’s no easier to manage ten units than it is to manage fifty. While residential homes can be renovated fairly quickly, commercial properties take much longer to buy, fix up, and sell. When investing in commercial properties, it’s important to be patient. You are unlikely to rush into a bad decision and expect a quick cash payout when persistence is on your side. A lot of investors look at apartment buildings as investment income, since they are familiar with residential properties. Expand your horizons and examine the many investment options you have, including mobile home parks and land. Many commercial properties are sold without first being listed on the market. The more people in your network of private lenders and partners, the better your chances are for scoring deals. Forging relationships with partners also helps you financially meet your commercial real estate investment goals. Plus, associating with experienced commercial investors will help you get your real estate investment questions answered, giving you pearls of wisdom to keep you from making the mistake of purchasing lackluster property. Experts warn against newcomers spreading themselves too thin when it comes to investing in commercial property. If you are new to commercial real estate investing, try your hand at one type of property, master it and then move on to another type of property. Managing an apartment building will require a different set of skills than, for instance, managing a warehouse. Make it a priority to learn the ins and outs of making a particular type of property thrive and sustaining regular income. The replacement of a broken pipe or a worn roof requires your immediate attention. As the property owner, you are responsible for updating the building as necessary. Income will not roll in just by resting on your initial investment decision. The property owner must stay up to date on the condition of the property at all times and address concerns as needed. Successful commercial real estate investing requires a knowledge of common key metrics that are used to evaluate a property. Cap rate, Cash on Cash, and Net Operating Income (NOI) are common metrics with which to become familiar. Attend open houses, search for vacancies, and discuss real estate with other property owners to scout a neighborhood for potential, profitable commercial real estate investment opportunities. You may also wish to peruse classified ads, browse the internet and employ “bird dogs”. Bird dogs are hired to find profitable investment leads and make their income through referral fees. Constantly be on the watch for signs of wear in a property that is likely to require repairs. Develop an exit strategy with every property you come across. Learn how to assess risk. Also ensure that attractive properties meet your financial goals. When you are about to embark on an exciting journey in commercial real estate, cover your investment by hiring a qualified real estate attorney to oversee the purchase. The real estate lawyers at Berry K. Tucker & Associates, Ltd. are skilled and experienced in commercial real estate transactions. During the purchasing process, our real estate attorneys will examine and register all documents related to the transaction, attend the closing meeting and ensure that the property is validly and legally owned. 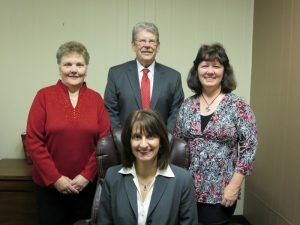 Our attorneys have years of experience negotiating during a number of real estate transactions. We will ensure that you are investing at a price that works best for you. If you are selling a commercial property, our skilled real estate lawyers offer invaluable services to protect your best interests. All closing documents are obtained, title issues are handled, the documents for transfer of ownership are drafted and negotiations are skillfully handled with the buyer. The intricate buying and selling process of commercial real estate involves hidden legalities that the Berry K. Tucker & Associates, Ltd. firm of real estate lawyers can help you navigate through. Make the complex transactions of commercial real estate easier to steer through by enlisting the help of Oak Lawn’s most trusted team of real estate attorneys, Berry K. Tucker & Associates, Ltd. Our established firm also reliably serves the surrounding communities of Oak Lawn, Illinois. Give us a call at (708) 425-9530 to schedule your consultation today!